Angela V. Cook: Sequel News! 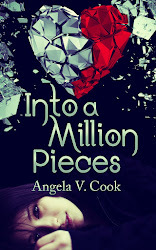 *Clears throat* I apologize for interrupting the chirping crickets in the background, but I wanted to let you all know that THOSE WHICH REMAIN, the sequel to INTO A MILLION PIECES, will be released this January! When Allison's nature draws in a predator, shattering her sense of trust and safety, she realizes the succubus curse is behind all the darkness and heartache in her life. 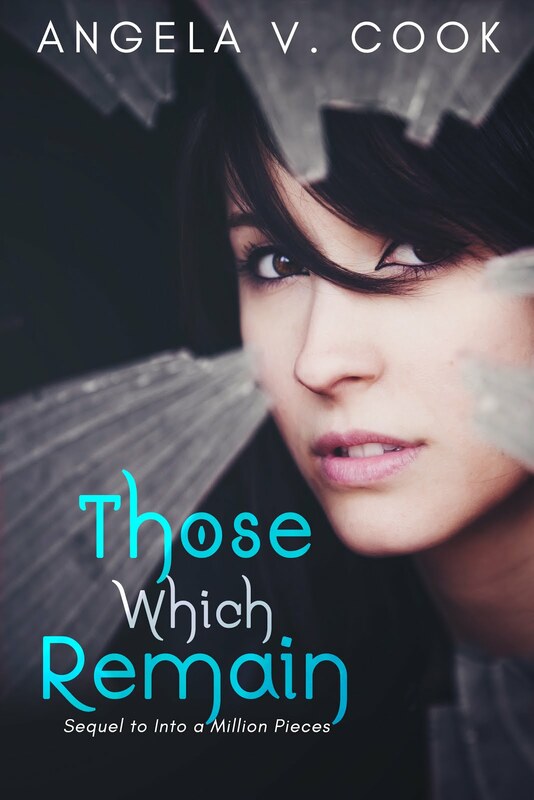 Determined to end it, she tracks down a distant relative with knowledge about the curse. But more questions are raised than answered when Allison meets the mysterious and wealthy Leona Doriano. Suddenly thrust into a dangerous world of money, power, and deadly secrets, Allison must find a way to break the curse—a curse not everyone wants broken—before she’s drawn in too deep. As you may have noticed, I said "I've been working on," because yep, I'm self publishing this bad boy. No, there wasn't a nasty falling out between me and my publisher. My experience with Red Adept Publishing has actually been very positive. They're just no longer publishing YA titles. It was strictly a business decision, and even though I was disappointed, I totally understood. The YA hype brought on by books like TWILIGHT, THE HUNGER GAMES, AND DIVERGENT has definitely died down, and selling YA books is getting tougher and tougher. Self publishing was not an easy decision to make. The thought of doing (and paying!) for everything myself TERRIFIED me. I contemplated not publishing the sequel, but I'd already written it, and allowing readers to see how Allison's story ends has always been important to me. I know the chance is very slim I'll earn back the money it's costing me to put it out (editing, cover design, formatting, etc. ), but that's okay. I've accepted the fact that this book is more a labor of love than a means of income. Stay tuned for all the fun stuff coming up in the months ahead, and as always, thank you to the readers. Your love of Allison's story (and the beautiful reviews!) helped keep me going when things got rough and tough. I hope you're just as excited to read THOSE WHICH REMAIN as I am to share it!